← What did Peter Drucker said about Entrepreneurship? What did Peter Drucker said about “The New Venture”? In the previous post, Peter Drucker’s suggestions for the entrepreneurial management of an “Established Business” were summarized. In his “Innovation and Entrepreneurship” book, he dedicated a separate chapter for the “New Venture” as well. Or we may call it “Start-up” also. What is the difference between existing businesses and the new venture in terms of entrepreneurship ? Drucker: For the existing enterprise, whether business or public-service institution, the controlling word in the term “entrepreneurial management”is “entrepreneurial.” For the new venture, it is “management.”In the existing business, it is the existing that is the main obstacle to entrepreneurship. In the new venture, it is its absence. What are the priorities of an entrepreneur in a new venture ? A focus on the market. Financial foresight , and especially planning for cash flow and capital needs ahead. Building a top management team long before the new venture actually needs one and long before it can actually afford one. It requires of the founding entrepreneur a decision in respect to his or her own role , area of work, and relationships. Can you elaborate the entrepreneur’s focus on market? 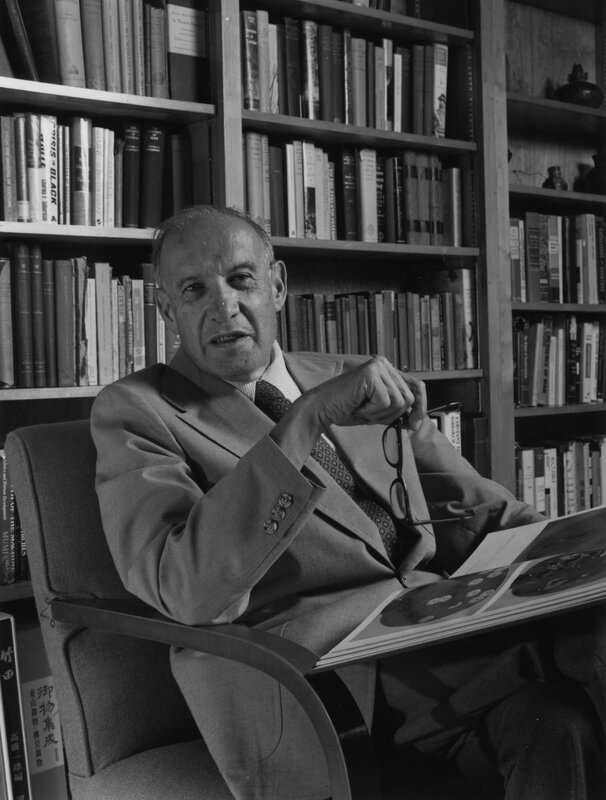 Drucker: When a new venture does succeed, more often than not it is in a market other than the one it was originally intended to serve, with products or services not quite those with which it had set out, bought in large part by customers it did not even think of when it started, and used for a host of purposes besides the ones for which the products were first designed. If a new venture does not anticipate this, organizing itself to take advantage of the unexpected and unseen markets; if it is not totally market-focused, if not market-driven, then it will succeed only in creating an opportunity for a competitor. Why is financial foresight is important for the new venture ? Drucker: Lack of market focus is typically a disease of the “neo-natal,” the infant new venture. It is the most serious affliction of the new venture in its early stages—and one that can permanently stunt even those that survive. The lack of adequate financial focus and of the right financial policies is, by contrast, the greatest threat to the new venture in the next stage of its growth. It is, above all, a threat to the rapidly growing new venture. The more successful a new venture is, the more dangerous the lack of financial foresight. Suppose that a new venture has successfully launched its product or service and is growing fast. It reports “rapidly increasing profits” and issues rosy forecasts. The stock market then “discovers” the new venture, especially if it is high-tech or in a field otherwise currently fashionable. Predictions abound that the new venture’s sales will reach a billion dollars within five years. Eighteen months later, the new venture collapses. It may not go out of existence or go bankrupt. But it is suddenly awash in red ink, lays off 180 of its 275 employees, fires the president, or is sold at a bargain price to a big company. The causes are always the same: lack of cash; inability to raise the capital needed for expansion; and loss of control, with expenses, inventories, and receivables in disarray. These three financial afflictions often hit together at the same time. Yet any one of them by itself endangers the health, if not the life, of the new venture. Growth has to be fed. In financial terms this means that growth in a new venture demands adding financial resources rather than taking them out. The new ventures that are the darlings of the newspapers and the stock market letters, the new ventures that show rapid profit growth and “record profits,” are those most likely to run into desperate trouble a couple of years later. Fast growth always makes obsolete the existing controls. Again, a growth of 40 to 50 percent in volume seems to be the critical figure. After the new venture focus on the market and finds the financial system what is the NEXT PROBLEM? Drucker: The new venture has successfully established itself in the right market and has then successfully found the financial structure and the financial system it needs. Nonetheless, a few years later it is still prone to run into a serious crisis. Just when it appears to be on the threshold of becoming an “adult”—a successful, established, goingconcern—it gets into trouble nobody seems to understand. The products are first-rate, the prospects are excellent, and yet the business simply cannot grow. Neither profitability nor quality, nor any of the other major areas performs. The reason is always the same: a lack of top management. The business has outgrown being managed by one person, or even two people, and it now needs a management team at the top. If it does not have one already in place at the time, it is very late—in fact, usually too late. The best one can then hope is that the business will survive. The remedy is simple: To build a top management team before the venture reaches the point where it must have one. Teams cannot be formed overnight. They require long periods before they can function. Teams are based on mutual trust and mutual understanding, and this takes years to build up. In my experience, three years is about the minimum. But the small and growing new venture cannot afford a top management team; it cannot sustain half a dozen people with big titles and corresponding salaries. In fact, in the small and growing business, a very small number of people do everything as it comes along. How, then, can one square this circle? Again, the remedy is relatively simple. But it does require the will on the part of the founders to build a team rather than to keep on running everything themselves. If one or two people at the top believe that they, and they alone, must do everything, then a management crisis a few months, or at the latest, a few years down the road becomes inevitable. How should be the top management team formed ? Drucker: First of all the founders, together with other key people in the firm, will have to think through the key activities of their business. What are the specific areas upon which the survival and success of this particular business depend? The next step is, then, for each member of the group, beginning with the founder, to ask: “What are the activities that I am doing well? And what are the activities that each of my key associates in this business is actually doing well?” Again, there is going to be agreement on most of the people and on most of their strengths. Then the work on building a team can begin. The founder starts to discipline himself (or herself) not to handle people and their problems, if this is not the key activity that fits him best. But all key activities need to be covered by someone who has proven ability in performance. It is prudent to establish the top management team informally at first. There is no need to give people titles in a new and growing venture, nor to make announcements, nor even to pay extra. All this can wait a year or so, until it is clear that the new setup works, and how. What should the founder do after all of these (market focus, finance, top management) are met ? Drucker: As a new venture develops and grows, the roles and relationships of the original entrepreneurs inexorably change. If the founders refuse to accept this, they will stunt the business and may even destroy it. Can you give real life examples ? Drucker: Edwin Land, for instance, the man who invented Polaroid glass and the Polaroid camera, ran the company during the first twelve or fifteen years of its life, until the early 1950s. Then it began to grow fast. Land there upon designed a top management team and put it in place. As for himself, he decided that he was not the right man for the top management job in the company: what he and he alone could contribute was scientific innovation. Accordingly, Land built himself a laboratory and established himself as the company’s consulting director for basic research. The company itself, in its day-to-day operations, he left to others to run. Ray Kroc, the man who conceived and built McDonald’s, reached a similar conclusion. He remained president until he died well past age eighty. But he put a top management team in place to run the company and appointed himself the company’s “marketing conscience.” Until shortly before his death, he visited two or threeMcDonald’s restaurants each week, checking their quality carefully, the level of cleanliness and friendliness. Above all, he looked at the customers, talked to them and listened to them. This enabled the company to make the necessary changes to retain its leadership in the fast food industry.